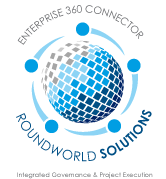 RoundWorld Solutions provides consultants with all levels of experience and across a wide range of skill sets. The profile of our typical consultant is a professional with several years of experience – minimally 3 to 4 years – up to the most senior level (20 or more years) in the industry. We do not place interns or entry level candidates. Most of our consultants have a solid expertise in at least one, but typically several core software technologies. As a result, virtually any software technology requirement can be accommodated. RWS can also provide consultants with both hands on development experience as well as a managerial background. Team leads, project managers and department heads / CTO level professionals have all been successfully placed by RWS at several organizations. Most often, our consultants will work onsite at the offices of our client. In this case, there are no consultant relocation fees. However, many of our clients do not require the consultant to physically relocate to their office and, instead, prefer a remote working relationship. We offer the flexibility of both models. Our typical contract engagement is 6 to 12 months but can be as little as 90 days or open ended to fit your needs. Many of our clients use our consultant services to fill an immediate need but also prefer to have an option to hire the candidate after a period of time. In this case our Contract-to-Hire model offers an excellent fit. Typically, the consultant will work for 3 to 6 months after which time the client, at their option; can convert the temporary status of the candidate to that of a full time employee of their own. In this event, a tiered conversion fee will apply depending on the length of time the consultant worked for the client prior to becoming their permanent employee. This way, our clients’ immediate needs can be met. 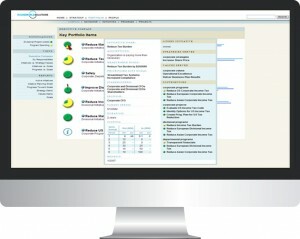 If the candidate’s performance meets company standards and if business projections support the need for additional permanent employees, the candidate can be converted to permanent status eliminating the usual delays of recruitment, due diligence, ramp-up, and compatibility with company culture. RoundWorld Solutions can also provide well qualified candidates for permanent additions to your staff. Our search field is not limited to just local or regional candidates. Rather, we leverage our long standing relationships and network of national resources to access candidates throughout the country. Whatever Market Sectors are required, chances are excellent we can provide the ideal consultant.